Lenovo Tuesday officially announced its new portfolio of business-friendly ThinkPad laptops, IdeaPad Ultrabooks, and IdeaPad multimedia laptops. Come June, it'll be raining Lenovo ThinkPads and IdeaPads. We got a peek at many of these refreshed laptops--except for the ThinkPad X1 Carbon--earlier this year at CES, but now Lenovo has revealed pricing and other details. The new line has been refreshed not just to include the latest Intel Ivy Bridge processors, but with other significant improvements as well. For example, the new ThinkPad X, T, and L series laptops will feature optional HD+ (1600 by 900 pixel resolution) displays. The new multimedia IdeaPad Y series laptops will offer the latest Nvidia Kepler graphics. And the ThinkPad X1 Carbon Ultrabook has been bumped up in screen size from 13 inches to 14 inches, with a new 1600 by 900 pixel resolution. These new models also sport Lenovo's revamped keyboard. The new keyboard is more attractive than the ThinkPad keyboards of yore, and is designed to be more precise. 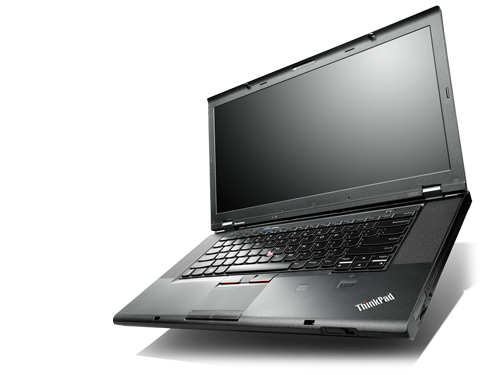 Starting prices range from $399 for the IdeaPad G Series to $1529 for the ThinkPad W530 mobile workstation. ThinkPad X230 and X230t: 12.5-inch ultraportables weighing less than 3 pounds, with up to 24 hours of battery life (with optional battery slice) and an IPS display for richer colors and better viewing angles. 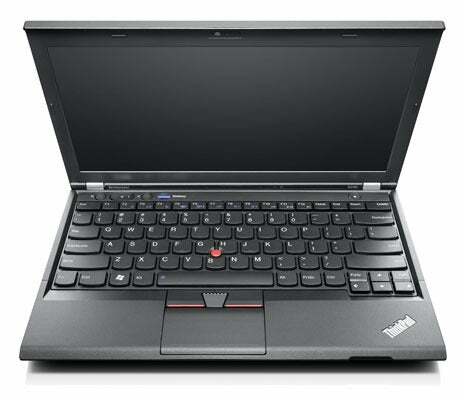 The X230t is the convertible tablet PC version. Starting prices: $1179 for the X230, $1479 if you want that touchscreen. ThinkPad T430, T430s, and T530: 14-inch and 15-inch thin-and-light laptops. Lenovo says the T430s is the lightest 14-inch ThinkPad with both docking and vPro (Intel's laptop management and security technology). Currently, the T420s weighs 3.68 pounds—almost a pound less than the 4.6-pound T420. Shaving the weight off, however, will cost you: The T430s starts at $1399 versus $879 for the T430. 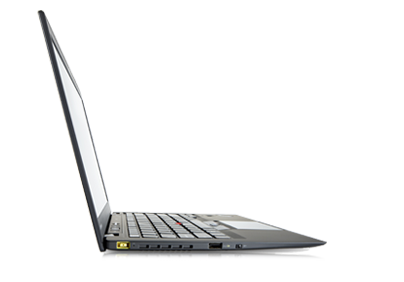 If you want a bigger version of the T430, Lenovo offers the T530, with a 15-inch full HD display. You can take one of these laptops on a long distance round trip and never worry about battery life; the laptops are rated for up to 32.5 hours of battery life with a battery slice. ThinkPad L430 and L530: Affordable business laptops starting at $879. These "value" laptops are rated for up to 9.5 hours of battery life and have optional discrete graphics cards. Previous L Series models started at over $1000, so these refreshed laptops will save you some money. ThinkPad W530: the most powerful ThinkPad, supporting graphics-intensive applications. Lenovo has packed the W530 with a quad-core Ivy Bridge processor, Nvidia Quadro graphics chip, full 1080p HD display, and professional graphics (e.g., CAD and 3D modeling) applications. ThinkPad X1 Carbon: claimed to be the lightest 14-inch Ultrabook, weighing just under 3 pounds. Boast-worthy features include the 1600-by-900-pixel display, backlit keyboard, and 0.71-inch thickness. We can thank the carbon-fiber construction for the super light weight. That's a lot of laptop refreshes--even more than HP's recent announcement of several new laptops. But wait, there's more! Lenovo is also refreshing the Y, G, and Z series. IdeaPad Y480 and Y580: 14- and 15-inch laptops for gamers. Both come with Nvidia 600 series (Kepler) graphics cards, JBL speakers, and an optical drive (TV tuner and WiDi are optional). They're pretty snazzy looking too, with brushed metal casing. The larger Y580 offers a full HD 1920 by 1080 display. The Y series start at an affordable (for a gaming laptop) $899. IdeaPad Z380, Z480, and Z580: widescreen laptops starting at just $599. Lenovo's 13.3-, 14-, and 15.6-inch (respectively) multimedia laptops offer optional Blu-ray drives, colorful cases, and spec options that include Intel Core i7 processors and Nvidia graphics cards. Can't wait to get an updated Lenovo laptop? These new laptops will be rolling out in May and June.